On 9 November 2017, the annual meeting of Choice Group took place in Frankfurt am Main, Germany. 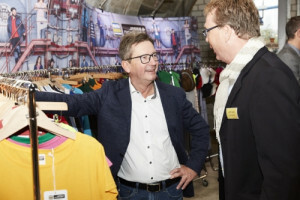 Gustav Daiber and other companies of Choice Group, such as Halfar, Karlowsky, SND and mbw gave sneak previews of their new 2018 collections and novelties. For more than 380 years, these companies all together, have proved themselves experienced and successful creators of new products for promotion, merchandising and events. In 2018, Gustav Daiber will add about 170 new products to the brands James & Nicholson and Myrtle Beach. The corporate fashion range of James & Nicholson will be extended considerably in the shirt sector. The product line has been enriched by many new styles with fine details in up to 20 colours. Herring bones, micro-twills, Oxfords and poplins now thinly accentuate the business sector and are ideal in combination with the new light travel coats and the high-quality fine knitted scarves. The travel coats fit like a glove and thanks to the memory effect, the crease-resistant, water-repellent fabric holds its shape suberbly. When travelling, people often dress casually, making the new polo shirts are a good choice. Printed polos and other polo shirts look good in business as well as during leisure time. Mix & match is multi-faceted. To protect against sun or snow, Myrtle beach offers suitable headwear. The new hats will make you long for summer and the beach. The beanies look casual and stylish at the same time and the caps are snazzy eye-catchers for the chill look or promo outfit. A real specialty is the new One Touch Cap that can be embroidered all around. This cap features exceptional design with a seamless, preformed crown and is made of breathable 3D mesh. A broad spectrum of materials is used in Halfar’s new product collection: soft jerseys, robust canvases, sustainable organic cottons, tough jutes, supple PU imitation leathers and ultra light functional fibres. 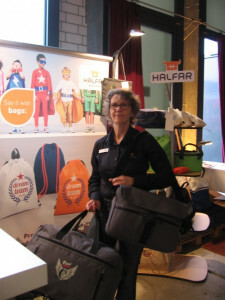 The company offers bags for a wide range of uses and target groups, from business bags and backpacks to bags for travel and from lifestyle bags to premium and promotional bags. For Halfar, the mobile office is and remains a passionate spearhead. Halfar offer an elaborate, technically thought through notebook backpack as well as a smart, fashionable bag for the office. Security is high on the agenda and is covered by several bags. The high quality notebook backpack Giant has a sophisticated finish and prevents data theft with a special RFID security pocket for credit cards or car keys. And that is just one of its many features. Following the motto “Heroes”, mbw introduces the 2018 innovations with big and small heroes and helpers, who support, comfort, cheer, accompany and simply are there when needed. With their wide range of products, mbw projects the magic of childhood heroes on today’s needs, using appealing brand messages. Many professions have their everyday heroes. In order to offer almost all professional groups a matching small present, the selections in the brands Schnabels and Mr. Bert have been expanded by many additional professional images. Now it is even easier, according to the heroic deed, to hand the customer a sympathy bearer, in fact with a logo, to remember both the brand and the heroic deed in the long term. Where heroes of the digital world are concerned, the Schmoozies quite analogically convince with their “cleanly super power” for smartphones and tablets anytime and everywhere. 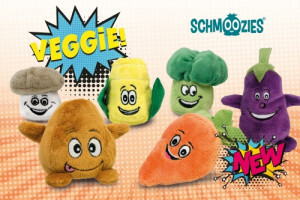 Numerous new characters and fabulous creatures, such as dragons, friendly monsters and sweet unicorns, and not to forget funny vegetables and many other motifs will conjure up a smile on every face. This year, Karlowsky Fashion is once again combining functionality and style. The Waist Apron Basic is the first basic high quality apron with pockets to be included in the Karlowsky range for a good competitive price. 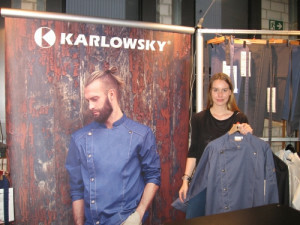 With its new Jeans Collection, Karlowsky will be serving up a generous portion of fashion in the coming season for all those in the catering sector who want their workwear to be not just functional, but also casually cool. Making their debut in the range, Karlowsky presents chef jackets, bib aprons, bistro aprons, service ties and neckties in a trendy jeans look in vintage blue and vintage black. You can read more about the new collections in issue 1 that will appear on 20 February 2018.